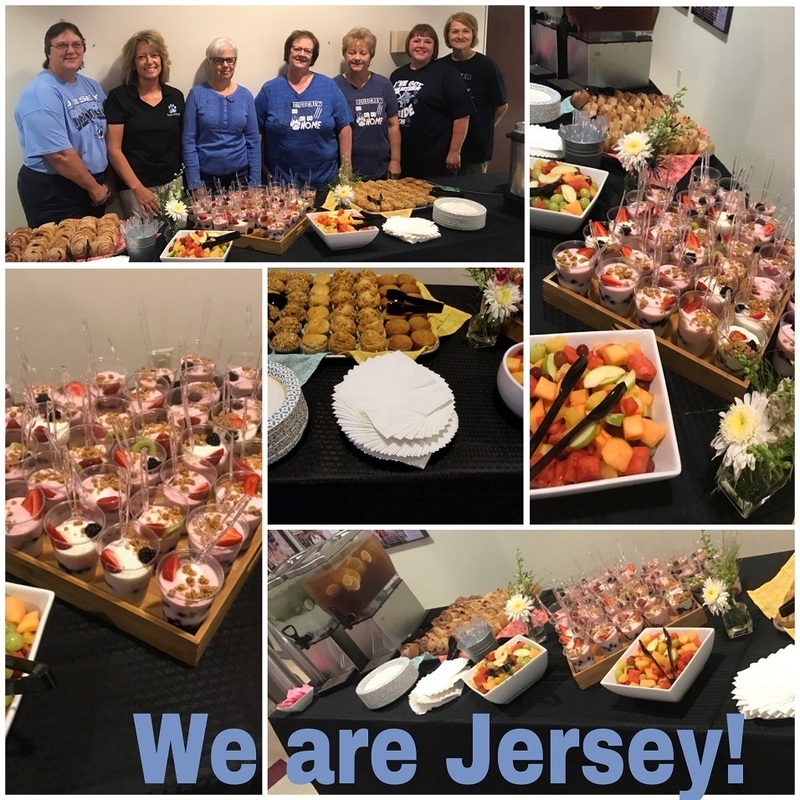 Jersey 100 teachers and staff were greeted on Friday by new food service options from OPAA and the friendly faces of the Jersey 100 cooks. Superintendent Brad Tuttle then addressed everyone with inspiring words for the new year and thanking all that worked on the renovations and updates this summer. 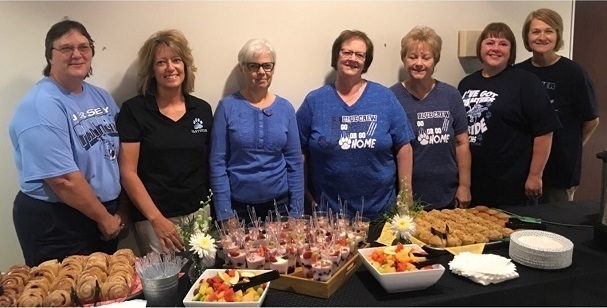 In addition to the updates at Jerseyville West Elem and Jersey Comm Middle School, there were also changes at JCHS and security updates at all schools. 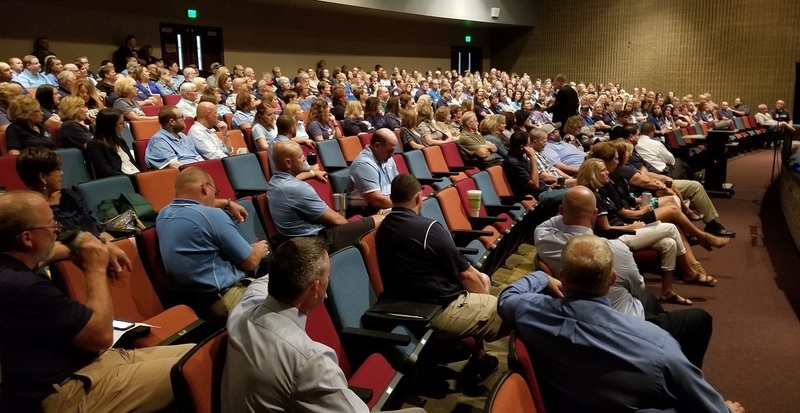 Additional information was provided by other administrators before all were released for department and school building meetings to finish preparations for the upcoming year. We are excited to see all the students tomorrow. Be kind, be respectful and be safe tomorrow as we start the 2018-19 school year!